French upstart Kolibree is demonstrating its connected electric toothbrush at the International CES trade show. 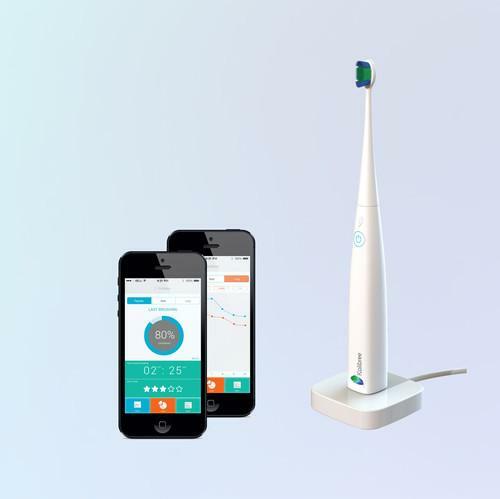 The toothbrush tells users how well they are brushing their teeth via a smartphone app. Using Kolibree's product every brushing is recorded, and the data tells users if they have brushed long enough and cleaned hard-to-reach but important parts of their teeth and gums, according to Kolibree. The more people learn about their brushing habits, the faster they can do something to improve them, the company said. The toothbrush is connected via Bluetooth to a smartphone running Kolibree's app. There will be versions of the app for Apple's iPhones, the iPod Touch and Android-based smartphones such as the Samsung Galaxy S III and 4, according to Kolibree's website. The app can keep track of multiple users, but Kolibree recommends one toothbrush per user. The brushing data will also be made available via an API (application programming interface) to let third party developers to create new apps. The toothbrush is designed to work under up to 1 meter of water for up to 30 minutes without damage. The brush-head is replaceable (two are included) but the battery isn't. It is expected to last for about two years, and when it eventually dies, users will have to buy a new brush. Kolibree hopes to obtain funding for the toothbrush through the crowdfunding website Kickstarter during the second quarter. Supporters will be able to pledge between US$99 and $200 depending on the toothbrush model they want. (That sum excludes charges such as taxes and import duties.) Extra brush heads will cost about $18 for a set of three. The company hopes to ship toothbrushes as rewards to Kickstarter backers in the third quarter. Its goal is then to start selling them online and in stores during the fourth quarter in Europe and the U.S.